In August 2016,Sky News reporter Stuart Ramsey brought us the story on a gun-running gang in the East of Romania. I’m sure he had no idea of the can of worms that he was about to open up, or how very little of it was anything to do with the subject of his reporting. He attracted the attention of the DIICOT (the Romanian Directorate for investigation of Organised Crime), not as a witness, but as a suspect. Ramsey was investigated for “Spreading false information affecting the security of Romania”. His story was entirely false; DIICOT explained these were simply hunters selling their own legally-sourced weapons. A warning shot was sent across the bows of European News Agencies – don’t report problems in Romania – or feel the force of the state. As an EU member nation, this sort of persecution of journalists should be unthinkable. 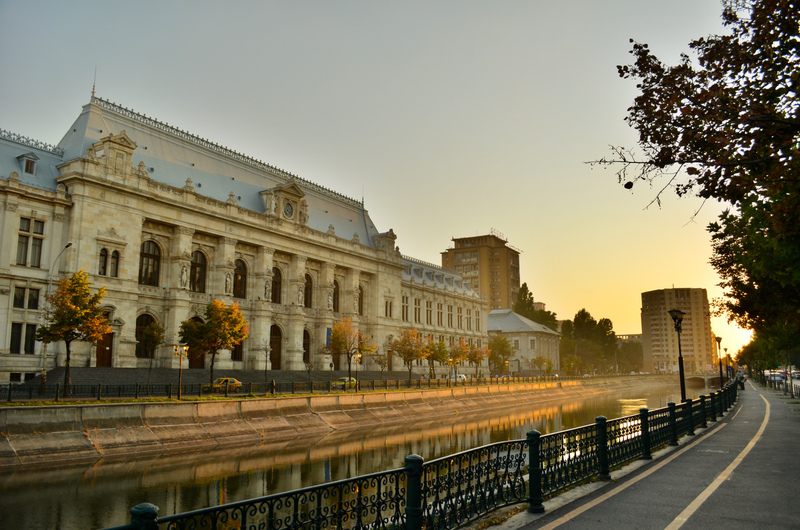 But Romania’s justice system concerns itself with ideals other than justice – it has been the centre of a power struggle between the rival factions in Romanian politics since the fall of the Soviet Empire. Romania in 1989 was a nation in the grip of a Security force that held control not only by its physical presence, but by its perceived reach into the civil society. While it had 15,000 people directly in it’s intelligence service and another 23,000 troops at its disposal, its real asset was the estimated 700,000 informers who infiltrated every walk of life. When Ceusescu was deposed, tried and sent for summary execution, the purpose of the haste was to limit the damage to those in his wider administration who had taken control of the country. Some things had changed, but much had not. The disassembly of the Securitate in favour of a new Romanian Security Service (SRI), led only to accusations that rather than working for the state, security services were working for other powerful interests. The new creation in 1990 of the Superior Court of Magistrates was overseen by the former Communist leader Ion Ilescu, elected with 85% of the vote. This left it a body elected by a Parliament, not so altered from the communist regime, and now able to appoint its Judges. Ilescu predictably packed the CSM with Judges favourable to his views. When he lost power, his successor removed even more independence from the CSM by granting the power to the Ministry of Justice to appoint Judges instead. Control was passed from one post communist structure to another – independence was only further eroded, not enhanced. The 2000’s saw the progress towards EU accession, but this did not seem to significantly increase the pressure for judicial transparency or the separation of powers. Ilescu, now back in power, continued as before – utilising the appointment of judges as a political tactic. Justice in Romania was largely a tool of its ruling politicians. Another change of government brought some signs of progress as a new European Reform Law was passed with the aim of restructuring the justice system. However, it was then rejected by the Constitutional Court. Watered down, it passed parliament again, and went unchallenged. An Anti-Corruption law was also passed, though in a diminished from that which was proposed, but the EU welcomed this as progress, however limited. EU accession was granted and Romania joined the EU in 2007. Parliament eventually turned on the Justice minister Monica Macovei, the reforming human rights activist who had at least effected some progress, and had her removed. However, her strengthening of the Anti Corruption Directorate (DNA) did remain largely in tact. Her successor however, removed its head for one opposed to reform. By 2008, all progress had ceased with the fall of the government and its replacement with a period of political stalemate. This stalemate broke in 2012 when the Prime Minister, Victor Ponta, moved against the President, Triain Basescu. He removed the speakers of the House and Senate, restricted the power of the constitutional court and made possible the impeachment of judges. The pendulum was swinging back to the authoritarians. State TV was purged of opponents, the curators of the National Archives were sacked and the Romanian Cultural institute was targeted. The EU Commission issued a 22 page report, critical of the Romanian government, but there was no action, despite the members of the constitutional court writing letters in protest at the attacks on them. The Anti-Corruption Agency increased in power; a major push to root out perceived corruption in Romanian life was pursued vigorously. Widespread illegal collaboration between the DNA and the Security service (SRI) would appear to have bypassed judicial control, and the DNA became reliant on the SRI and DIICOT for their resources. When in 2016 the constitutional court ordered the cessation of the wire taps as outlawed under the constitution, the PM issued an order overturning the decision. Romania today is a state where the independence of the judiciary is clearly more than compromised. Yet it remains an active user of the European Arrest Warrant, able to remove European citizens from other EU jurisdictions to be held subject to its failing and politicised court system. Justice is a political arena in Romania, part of the tactical field of play in Romanian politics. This leads us to the case of Alexander Adamescu. His father, a German businessman of Romanian origin, was jailed on charges of bribery in 2016. The case is widely seen as a persecution of a vocal opponent of the government (Adamescu was a newspaper proprietor) and a possible attempt to take control of his assets including the newspaper. Dan Adamescu was badly mistreated and denied vital medical treatment in prison, which has ultimately now lead this week to his death in custody. It could easily be argued that this deliberate neglect has had its intended effect. The state has executed its final punishment on Dan Adamescu, it has removed an opponent. Permanently. Alexander Adamescu sought to challenge the Romanian government over the treatment of his father, which has led to the Romanian authorities accusing him of the same Bribery charge and issuing an EAW for his extradition from the UK. We can only suppose what kind of treatment awaits him in Romania. It seems that the UK is eager to assist the Romanian authorities in its pursuit of Alexander Adamescu, and he is due in court in April for the purpose of his extradition. But there are no circumstances under which this could be seen as pursuant of justice – Romania has shown itself absolutely incapable of running a fair and impartial judicial system throughout its entire post Ceasescu era. In fact, the use of covert state operatives, the appointment of judges, the conditions of detention, all seem to mirror very closely its previous Communist era structures. If this were any country outside the EU, no judge would consider any extradition to such a system. But inside the EU our judges, their hands tied by political expediency, seem forced to accept Romania as a ‘safe country’ for extradition. It is even now understood that the UK government is eager to continue application of the EAW post Brexit. My thanks must go to Lorenzo Castellani & Piercamillo Falasca, whose work I have drawn on in writing this article. Read their full report here: European Union at risk: The Judiciary Under Attack in Romania. Photo by Andreiscurei. Licensed under the Creative Commons Attribution-Share Alike 3.0 Romania license.